Turn heads with our striking neoprene clutches, made from the versatile fabric of neoprene; a flexible fabric, ideal for the beach, your make-up or for a night with the girls. Available in various sizes to match any occasion. 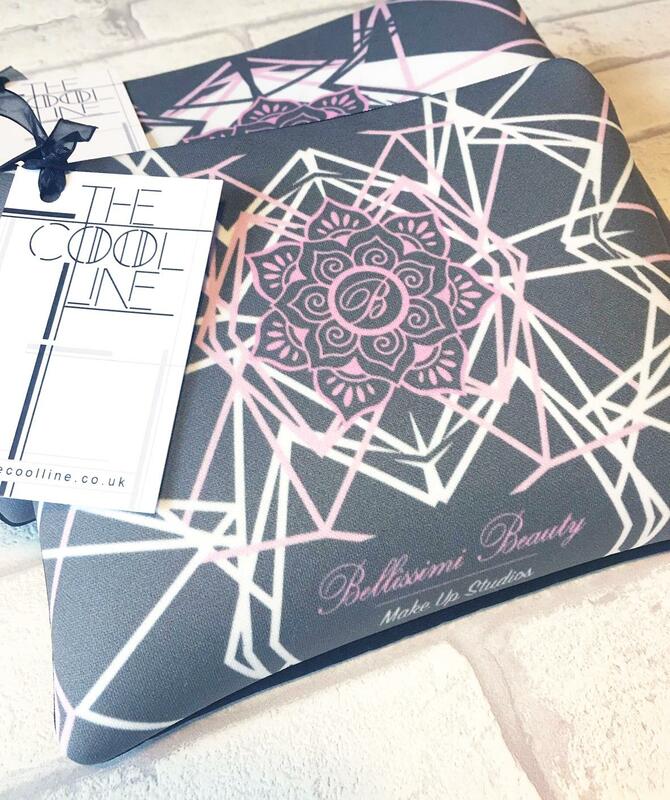 We have teamed up with the very talented girls at The Cool Line to bring you the Bellissimi Beauty – Beauty Bag! The Observation Print is a geometric bird’s eye view made stylish. Taking collective inspiration from a first hand perspective of the towering skyscrapers and astounding architecture of the deco period married up with our distinctive pink grey and white colour theme.